The popular WonderWorks attraction has announced it will be opening its sixth location, and welcoming visitors to Branson, MO in 2019! WonderWorks Announces Its NEWEST Location… in Branson, Missouri! The popular WonderWorks attraction has announced that it will be opening its newest location… in Branson, Missouri! Construction is already underway for the one-of-a-kind attraction – which features more than 100 hands-on, interactive exhibits, displays, and curiosities. Sitting at the location of the former Baldknobbers Theatre, WonderWorks will provide a completely new and unique experience for the millions of people that visit the area each year. 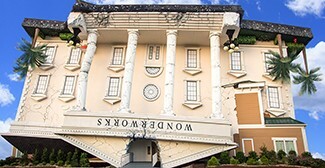 This newest addition brings the total number of WonderWorks locations up to 6 – the others are located in Panama City Beach, Pigeon Forge, Orlando, Syracuse, and Myrtle Beach. 100+ Interactive Exhibits and Displays! Combining science, physics, education, and entertainment into one unfortgettable experience – the attraction is something that all ages can enjoy! The indoor facility offers year-round fun, while providing an educational and truly one-of-a-kind adventure! From giant soap bubbles to displays of electricity, wind, and water – it’s something you won’t want to miss on your next visit to Branson, Missouri! Scheduled to Open Summer of 2019! 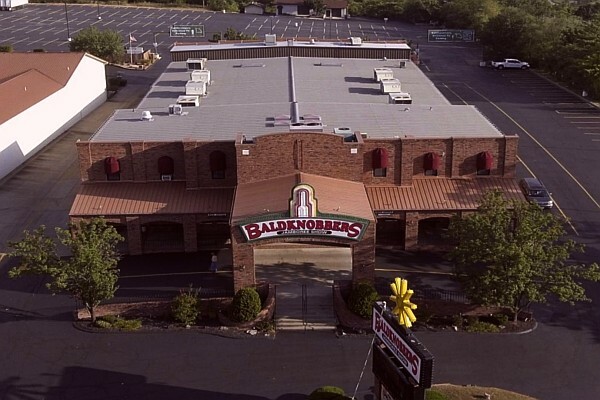 The old Baldknobbers Theatre has already been demolished and construction of the new entertainment facility is currently underway! Scheduled to open in the summer of 2019, the new Branson WonderWorks location is something you’ll not want to miss on your next visit! Keep checking our blog for the latest updates as we’ll continuously update the information on their progress! There are dozens of fun things to do when you visit Branson, and this newest attraction gives you even more reasons to make a trip soon!